"In 2019, you're cordially invited to meet the biggest rascal of the Royal Family." Oy vey. 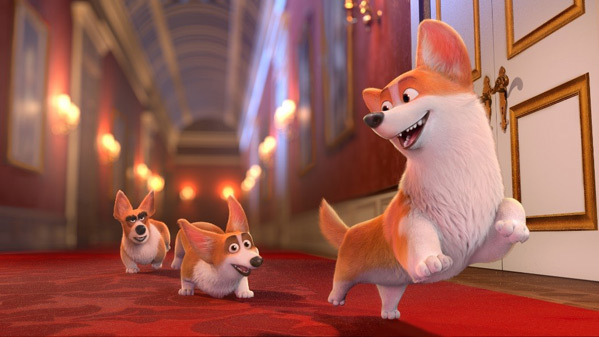 Lionsgate UK has released the first teaser trailer for a cute animated comedy titled The Queen's Corgi, made by Belgian animation studio nWave Pictures and the same director who most recently made the animated film The Son of Bigfoot. nWave's The Queen's Corgi is indeed about (one of) the Queen's (many) corgis, a lovable little puppy named Rex. One day he loses track of his mistress and stumbles across a clan with dogs of all kinds confronting and fighting each other. During his epic journey to return to the queen, Rex falls in love and discovers his true self. The voice cast hasn't been revealed yet, only this teaser trailer and a few posters. As cute as this looks, I have a feeling it's going to be so bad. Most of the films made by nWave turn out terrible. Rex is the Queen's Top Dog - a spoilt little corgi who lives a life of luxury in Buckingham Palace. But when Rex winds up in a London Dog's Home, surrounded by tough strays, he must learn that to become a true Top Dog, you have to earn it! 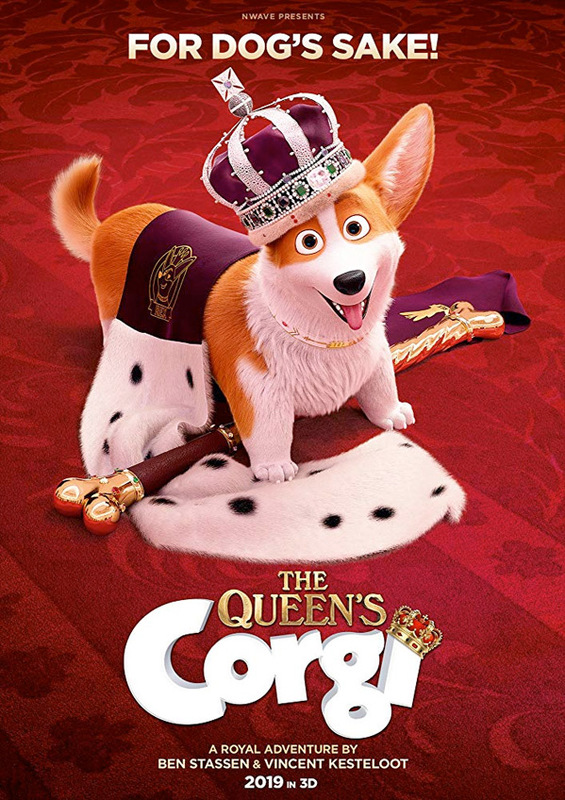 The Queen's Corgi is directed by Belgian filmmaker Ben Stassen, of the animated movies A Turtle's Tale: Sammy's Adventures, A Turtle's Tale 2, Thunder and the House of Magic, The Wild Life, and The Son of Bigfoot previously. And co-directed by Vincent Kesteloot, of The Wild Life as well. The screenplay is by Rob Sprackling and John R. Smith. The film was made by the animation studio nWave Pictures based in Brussels. Lionsgate UK will release Stassen's The Queen's Corgi in UK theaters starting sometime in early 2019. No official US release date has been set yet - stay tuned. How cute is this?